Making creates knowledge, builds environments and transforms lives. Anthropology, archaeology, art and architecture are all ways of making, and all are dedicated to exploring the conditions and potentials of human life. 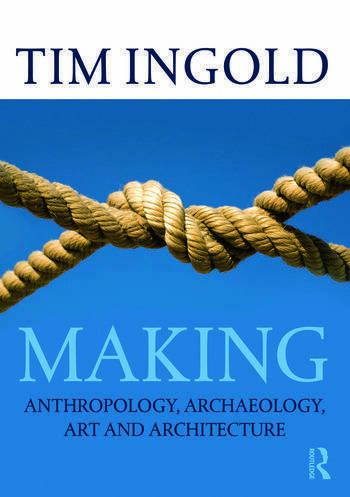 In this exciting book, Tim Ingold ties the four disciplines together in a way that has never been attempted before. In a radical departure from conventional studies that treat art and architecture as compendia of objects for analysis, Ingold proposes an anthropology and archaeology not of but with art and architecture. He advocates a way of thinking through making in which sentient practitioners and active materials continually answer to, or ‘correspond’, with one another in the generation of form.